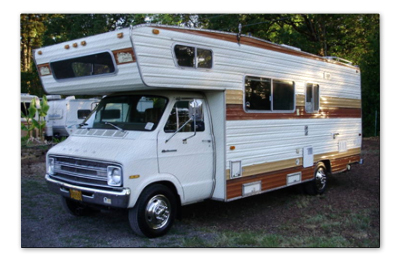 Thanks for your RV Donation! Donate RV or any vehicle….we promise you'll win! You'll win, we'll win, and most importantly, the people and causes we support will win. How? For us and our causes, RV donation lends financial support for many people and programs. For you, RV donation gives you tax advantages and a free vacation gift (courtesy of our sponsors). RV donation is free to you (including towing), available anywhere in the U.S., easy (an online form), and fast (goal: 3 days to completion). Our commitment to a better world extends into helping other nonprofits with similar objectives (those being individual and program support). As your partner, we can mobilize our volunteer resources and put them to work for you. You accept RV donations/vehicle donations, we process and help with the IRS and donors, and your group gets the funds at the end. Your worries are eased, you gifts converted, and your funds secured. Our commitment to helping people and groups in need is serious. The trust of our donors and God is serious, too. We work only to honor that trust by helping people who need help. Is this you? Please tell us more on this brief help request form. Your case will be considered individually given our available inventory and resources, and we'll help if at all possible.